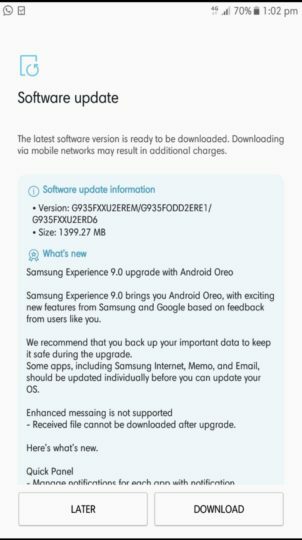 Samsung has started rolling out Android Oreo Update for Samsung Galaxy S7 and Galaxy S7 Edge in India. firmware version is G930FXXU2EREM and G935FXXU2EREM for the Galaxy S7 and the Galaxy S7 edge which is 1399 MB. The firmware is also being rolled out for the handsets in the United Arab Emirates. 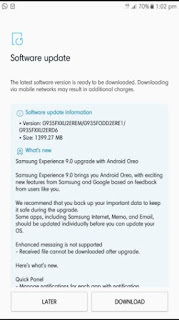 The Update brings Samsung's Experience 9.0 based on Android 8.0 Oreo. 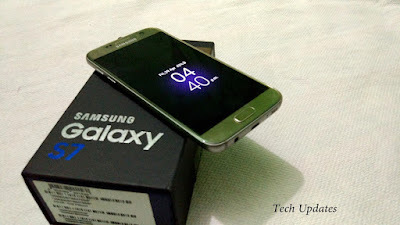 Galaxy S7 Edge feature a 5.5-inch Quad HD (2560×1440 pixels) 534 PPI Super AMOLED always-on curved edge display powered by an Octa-Core Exynos 8 Octa 8890 processor with 4GB of RAM and 32GB internal storage, front 5-megapixel selfie camera and a 12-megapixel (f/1.7 aperture) primary rear camera with Dual Pixel sensor, single LED flash and OIS. packed by a 3600mAh battery.